Grand Celebrations for the 2011 Spring Festival – The Chinese Year of the Rabbit. VALLETTA, MALTA, January 2011 – On the occasion of the Chinese New Year, The Grand Hotel Excelsior, in collaboration with the China Cultural Centre and Valletta Local Council is organising an Asian Themed Buffet Dinner on the 2nd February at 20.00hrs. This event is one of the many activities organised under the Patronage of the Parliamentary Secretariat for Tourism, the Environment and Culture and the Chinese Embassy in Malta. The Spring Festival, also known as Chinese New Year, is the most important celebration of the year. Chinese people may celebrate this feast in slightly different ways but their wishes are almost the same; they want their family members and friends to be healthy and lucky during the New Year. This year marks the year of the Rabbit. People born in the Year of the Rabbit are articulate, talented, and ambitious. They are virtuous, reserved, and have excellent taste. Members of the public are welcome to join in the celebratory dinner priced at 35 Euro for adults and half price for children between the ages of 6 and 11. A fireworks display is scheduled to start at 22.00hrs. Contact the Food and Beverage Team at the Excelsior Hotel Malta on 21 250 520 or on food.beverage@excelsior.com.mt for more information and to secure your table for this special event. 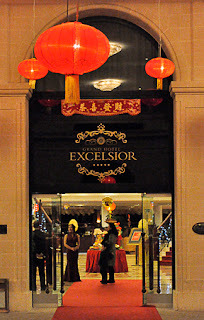 This entry was posted in Excelsior Hotel Malta, Luxury Malta Hotel on January 24, 2011 by admin. Thinking of a short break surrounded by luxury? This Valentine’s treat your loved one to a Romantic Getaway at the Grand Hotel Excelsior in Malta. Total Package Price: € 439 for two nights including tax. This package is valid for two nights between the 13th February and 16th February 2011 at the price of €439 for 2 persons sharing. *Valentine’s Day Buffet Dinner includes Half a bottle of wine, half bottle of water and coffee. • Additional nights at €148.00 in a Double Deluxe Inland Room per night on Bed and Breakfast Basis. • Buffet Dinner Supplement at €30.00 per person per day (for the extra night booked). • Indulge in a Relaxing Spa Package starting from 88 Euro per couple. • Feel free to Book Our Exclusive Chauffeur Driven Service from the Malta International Airport to the Grand Hotel Excelsior at 20 Euro one way (maximum of three persons). Kindly contact us on reservations@excelsior.com.mt to book your transfer. 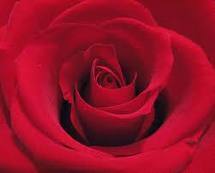 Should you book a different room package and/or should you wish to enjoy Our Valentine Evening without accommodation, please note that the Grand Hotel Excelsior’s Valentine Buffet Dinner Menu is at 120 Euro per couple and MUST be booked well in advance to avoid disappointment. • Full payment is required on confirmation. • No cancellations or change of dates apply. • If you select a stay which does not include the 14th of February, no alternative, refund or compensation will be given in exchange of the Valentine Dinner. For more information about this special Valentine’s Break kindly contact the Reservations Team at the Excelsior Hotel Malta. This entry was posted in Excelsior Hotel Malta on January 18, 2011 by admin. This entry was posted in Excelsior Hotel Malta on January 17, 2011 by admin.